Hounslow Council has launched a public consultation on engine idling fines as one of a range of measures to tackle air pollution in the borough over the next five years. Although a range of actions have already been undertaken to reduce emissions of air pollutants in the Borough under a previous Air Quality Action Plan (AQAP), levels of nitrogen dioxide (NO2) have remained above statutory limits in some locations. Across Hounslow it has been estimated that more than 100 deaths can be attributed annually to poor air quality. The latest AQAP, published at the end of September and covering 2018-2023, develops actions under seven topics, including delivering servicing and freight, borough fleet actions and cleaner transport. 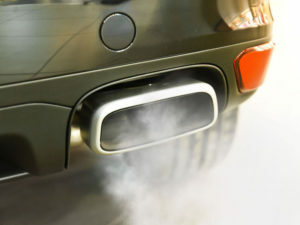 The latter includes action to tackle engine idling, as already used in other boroughs such as Westminster. Now under consultation, the measure would allow enforcement officers to issue penalty charge notices while on patrol. The applicable fine to the motorist would be £60, discounted to £30 if paid within 14 days. This complements plans to implement 20mph limits on all residential roads, and those with high footfall, in the borough by 2020 to reduce casualties, as well as ambitions to introduce ultra-low emission vehicle car clubs; Hounslow says it has a commitment from Zipcar to have two EVs introduced into the borough in 2019. It’s also working on a feasibility study for implementing free or discounted parking charges for on street parking for zero-emission cars by end 2019; the council has already implemented free or discounted residential parking permits for zero-emission and sub-50g/km cars while introducing an annual surcharge of £50 for parking permits for diesel cars on borough roads. The council is also working with TfL and Source London to identify sites for rapid chargers while also looking at residential electric charge points to cater for EV charging solution for those without off-street parking. Other changes include possible submission of an application for a ‘Low Emission Neighbourhood’ if funding becomes available. The council is also looking to take action on delivery servicing and freight, including a review to include a procurement requirement for suppliers with large fleets to have attained silver Fleet Operator Recognition Scheme (FORS) and to ensure sustainable logistical measures are implemented. The council is also exploring options for its own fleet, including introducing EVs and speed limiter technology. In addition, the Vehicle Fleet Management team will complete a feasibility study on measuring real-world emissions that sets a baseline against which to base future emission reductions. To take part in the council’s engine idling consultation, click here. The consultation closes on 7 December 2018.